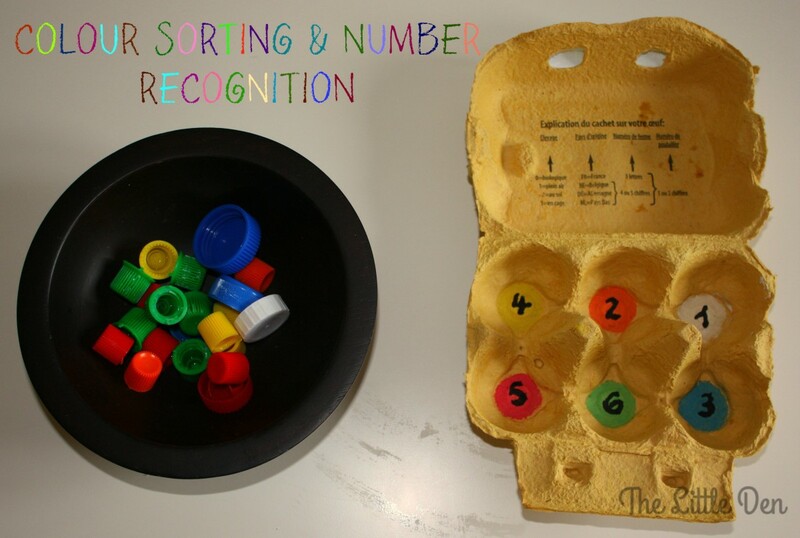 This is a very simple activity to set up for your little ones – save up some different coloured lids and an empty egg box. 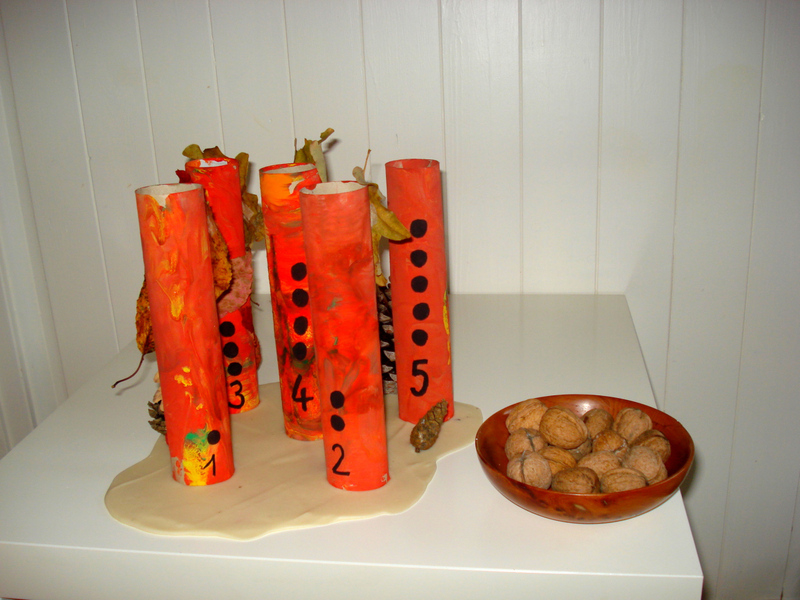 We really enjoyed making our Autumn Trees and after they had been displayed around the house for a little while, I thought we could use them for some more fun. 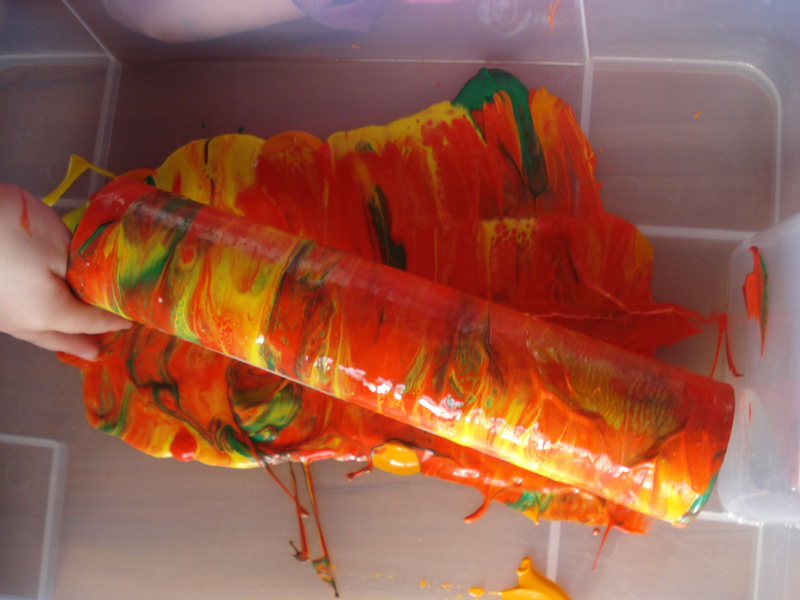 We have been doing lots of activities relating to Autumn of late! Such a pretty time of year and so many stunning colours around us.